This non-fiction book covers the subject matter of Conquest and Betrayal and would be of interest to readers of those titles whose curiosity is piqued and wish to delve deeper, as well as students of military history in general. Between 1805 and 1807 the British mounted several expeditions into the South Atlantic aimed at weakening Napoleon’s Spanish and Dutch allies. The targets were the Dutch colony on South Africa’s Cape of Good Hope, which potentially threatened British shipping routes to India, and the Spanish colonies in the Rio de la Plata basin, now parts of Argentina and Uruguay. In 1805 an army of around 6,000 men was dispatched for the Cape commanded by General David Baird. They were escorted and assisted by a naval squadron under Commodore Home Riggs Popham. The Cape surrendered in January 1806. Popham then persuaded Baird to lend him troops for an attack on Buenos Aires. The city was taken in July but the paltry British force (around 2,400 men) was then besieged and forced to surrender in August. Popham was later court martialled for exceeding his orders. In Feb 1807 Montevideo was taken by a new (officially sanctioned) British force of 6,000 men. Whitelocke, the British Commander then attempted to retake Buenos Aires but was defeated by unexpectedly fierce resistance stiffened by armed creoles and slaves. After heavy losses he signed an armistice, surrendering Montevideo and withdrawing all his forces. He too was court-martialled. 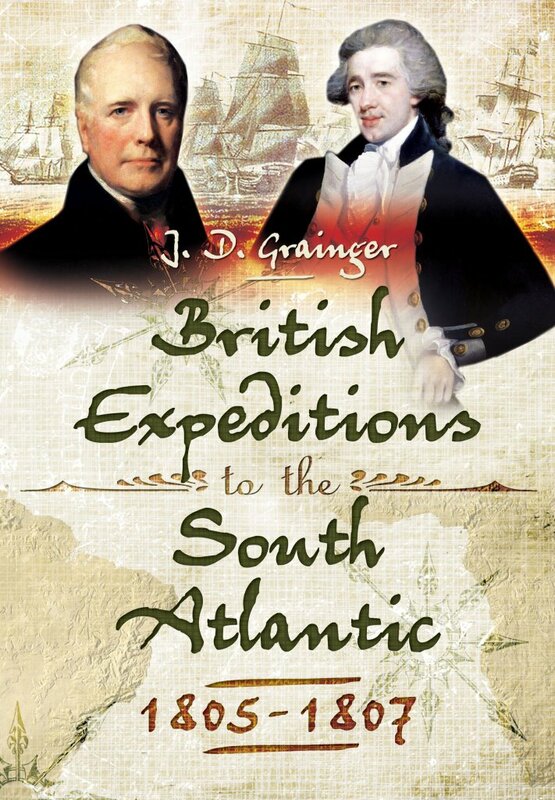 One of the themes of Grainger’s book is the strong Scottish connection – Baird was a Scot, and the 71st Highlanders made up the main force in the Cape and Popham’s adventure. Another is the unlooked-for consequences of these actions. The arrival of Scottish Calvinist ministers in the Cape influenced the eventual development of apartheid, while successful resistance to the British, with little help from Spain, shaped and accelerated the independence movement in South America. It’s pleasing to see historians undertaking treatments such as this on some of the less well known British campaigns during the Napoleonic wars.